Kick off your visit on the 11th (Sat): get your game on at Gorky Park. 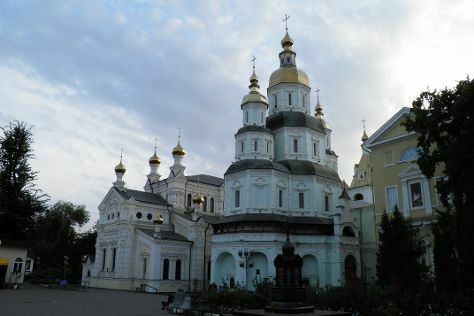 Here are some ideas for day two: take in the architecture and atmosphere at The Pokrovsky Cathedral, explore the world behind art at Kharkov Art Museum, then pause for some serene contemplation at Annunciation Cathedral, and finally look for all kinds of wild species at Kharkov Dolphinarium. For more things to do, ratings, other places to visit, and other tourist information, go to the Kharkiv travel guide. Use the Route module to find suitable travel options from your home destination to Kharkiv. June in Kharkiv sees daily highs of 29°C and lows of 17°C at night.